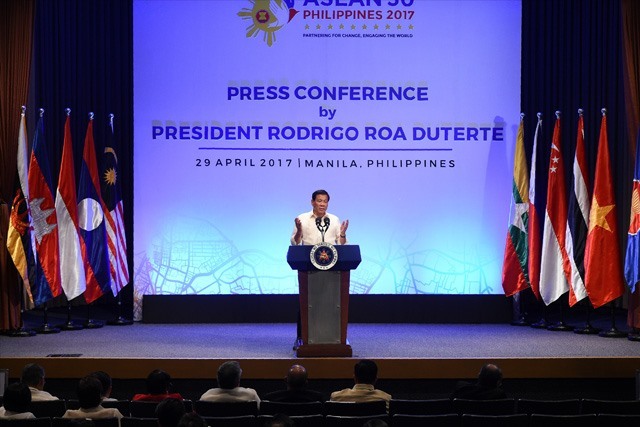 HÀ NỘI – President of the Philippines Rodrigo Duterte issued a Chairman’s statement on Sunday, one day after the 30th ASEAN Summit closed. The 25-page statement mentioned concerns expressed by several ASEAN leaders pertaining to recent happenings in the region and concurrently reiterated the importance of maintaining peace, stability and maritime and overflight security and freedom in the East Sea. It also reiterated the importance of exercising self-restraint when conducting activities, avoiding actions that could complicate the situation, and pursuing peaceful measures in disputes without threatening or using forces. 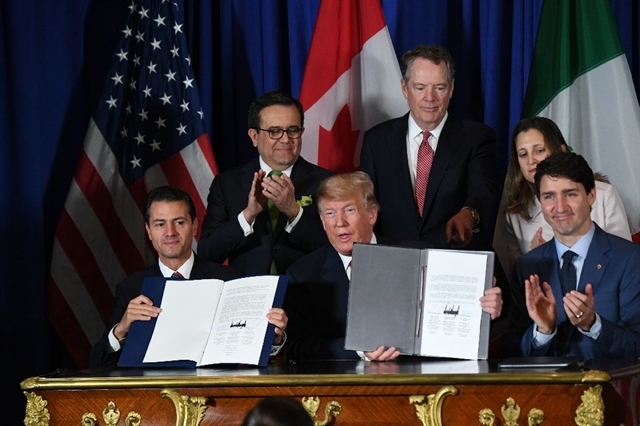 The statement, however, had no mention of the ruling of the arbitral tribunal in The Hague, the Netherlands in July 2016. The ruling rejected China’s claims over almost all the East Sea. The 30th Summit of the Association of Southeast Asian Nations (ASEAN) was held in Manila, the Philippines on Saturday with the attendance of leaders of 10 ASEAN member nations. At the opening session, Duterte underlined the core priorities of the Philippines’ chairmanship, which are building a people-oriented and people-centred ASEAN, maintaining a peaceful and stable region, co-operating in maritime security and advancing inclusive and innovative-led growth, promoting ASEAN’s resiliency, and promoting ASEAN as a model for regionalism and as a global player. At the summit, the ASEAN leaders expressed their concerns over the complicated developments, such as the tension related to the Korean Peninsula, militarisation activities in the East Sea, and spreading terrorism threats.